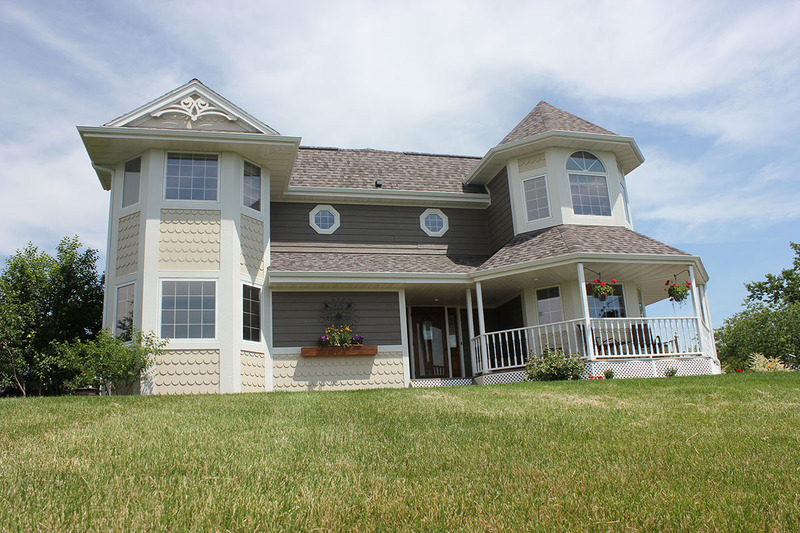 This beautiful Victorian home is one of our favorites! 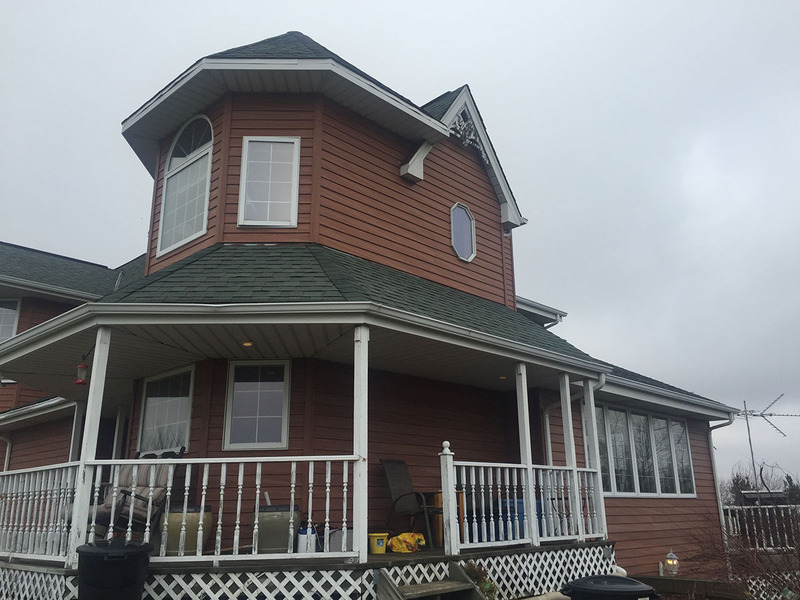 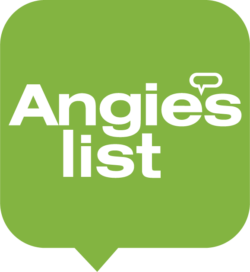 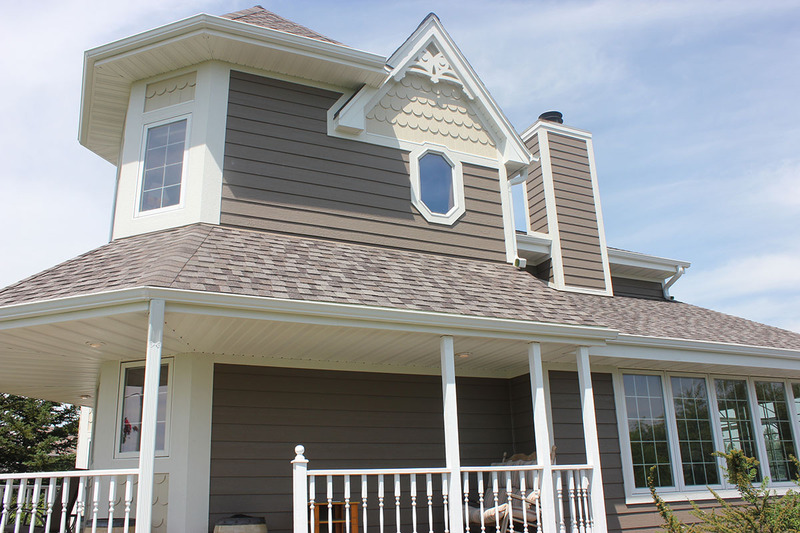 We installed a new Certainteed Landmark 4-star roofing system, the color is Mission Brown. 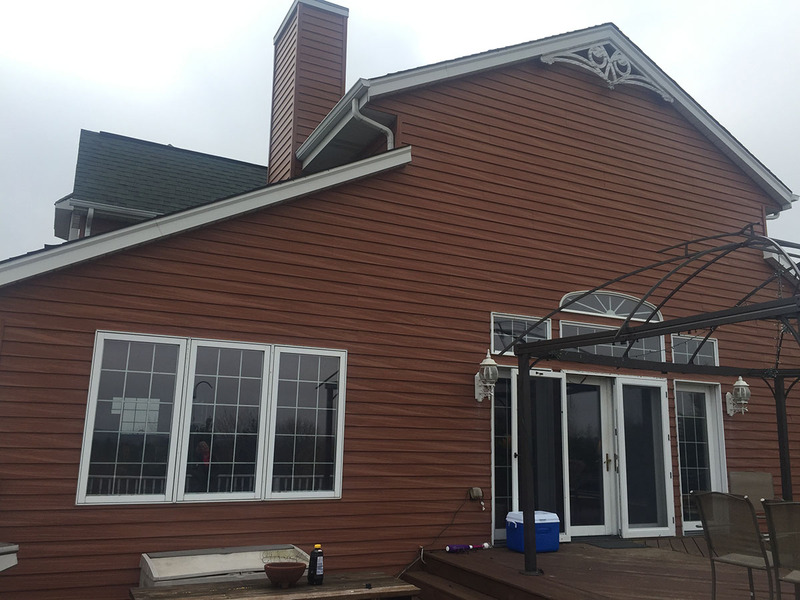 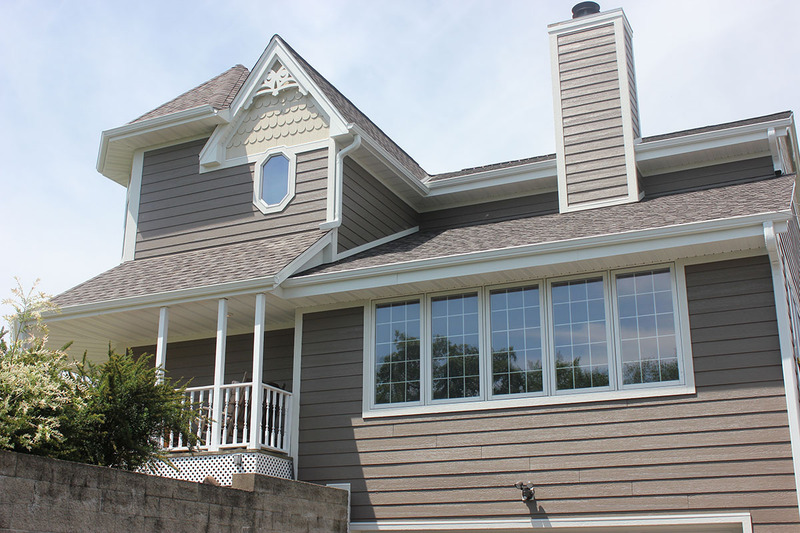 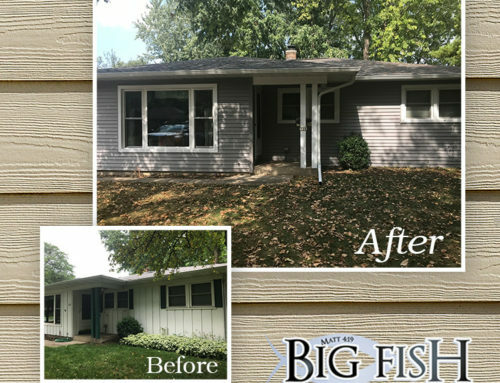 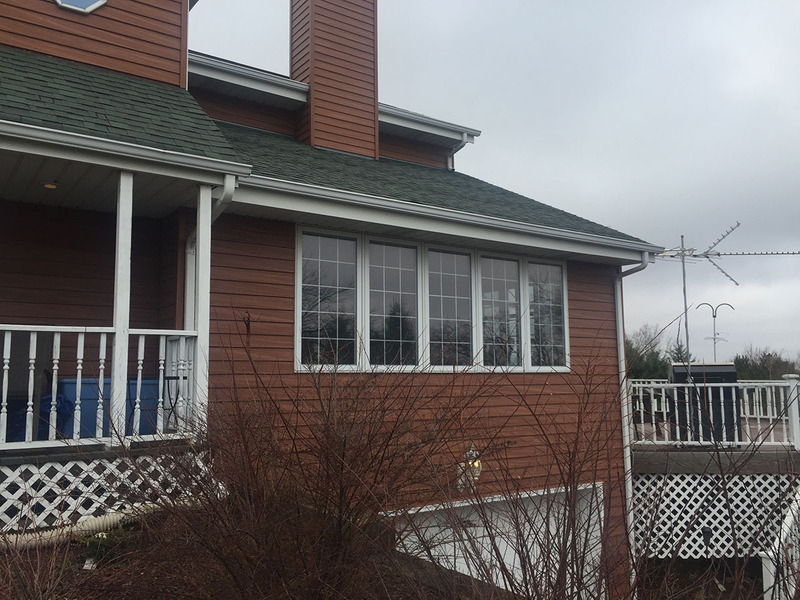 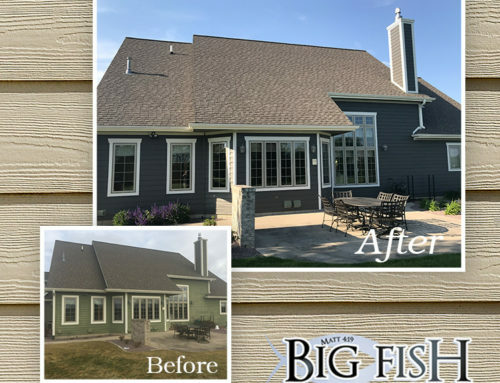 The horizontal lap siding is LP Smartside, the color is Montana Suede, the Trim is LP Smartside Cedar Strand, the color is white and the decoratively scalloped siding is an LP Smartside product pre-finished in Almond. 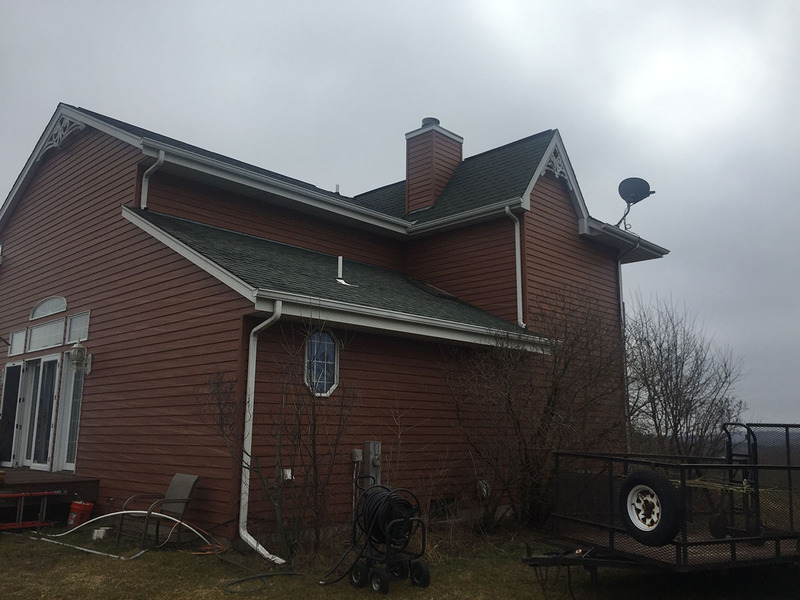 We also installed new seamless aluminum gutters with all new aluminum soffit and facia. 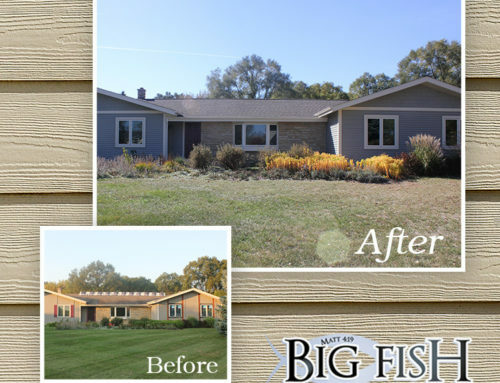 This home is an example of what Big Fish Contracting likes to do from a design and creativity standpoint. 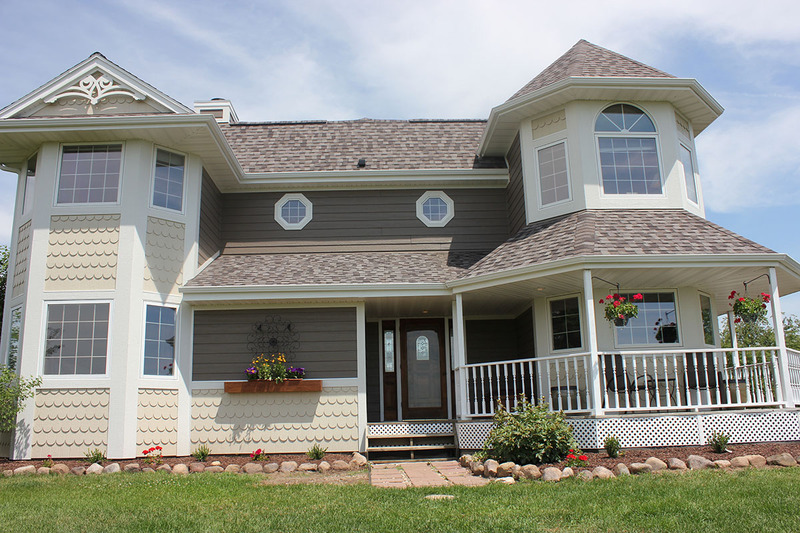 Notice the pretty flower box on the transition board on the front of the home as well as the custom crafted gable details! 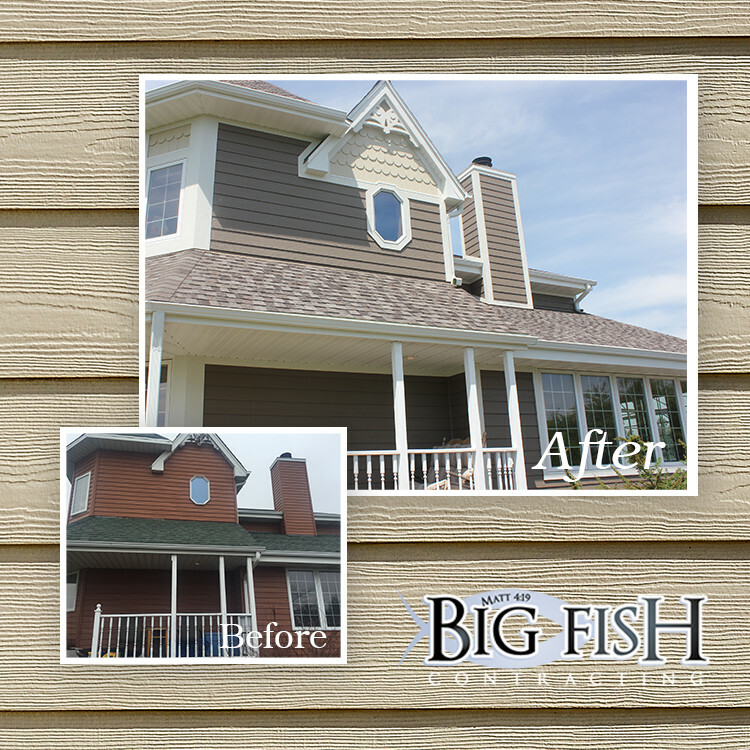 This was just a boring wall with no real charm until our craftsmen got ahold of it!